One of the few licensed games you'll want to pick up for your device. There are tons of licensed titles out there on the App Store, but few that you really want to spend time with if you're looking to build a formidable app library on your device. 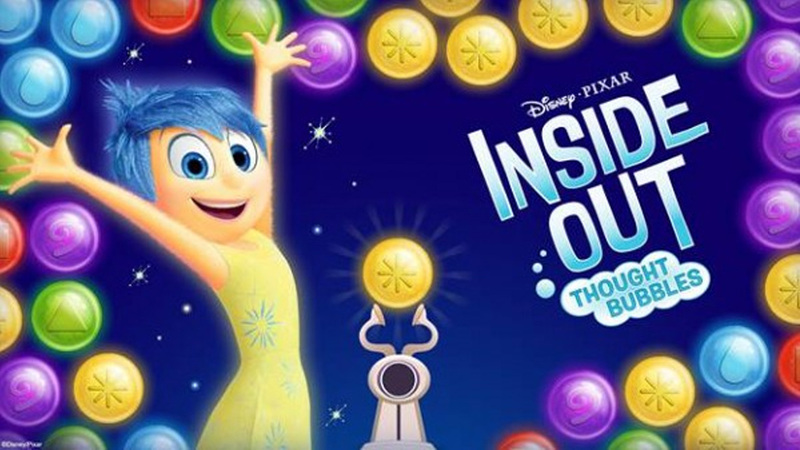 One I've been spending quite a bit of time with lately is Disney/Pixar's Inside Out Thought Bubbles title, which is essentially a clone of Bubble Witch Saga and all the titles that inspired it. Those games are a dime a dozen, but they're all still consistently fun if you give them a chance. Thought Bubbles culls from Inside Out's colorful cast of emotions and offers power-ups for each character as you take aim and burst memory bubbles, as they're referred to, and they fall into the corresponding bucket at the bottom of the screen for maximum pointage. Just like the game's contemporaries you can use the top of the screen to bank shots, pull off trick shots, and other sly moves to earn as many stars as you possibly can per level. It's colorful and unobtrusive, but unfortunately you will run into some of the trappings of a free-to-play game here and there. If you enjoyed Pixar's favorite movie, however, and want to see your favorite emotions (voiced by their actors in the movie) coming to life while playing an addictive puzzler that you've likely experienced before, this licensed title is a win. Just don't think about beating my high score. Protip: You totally won't.